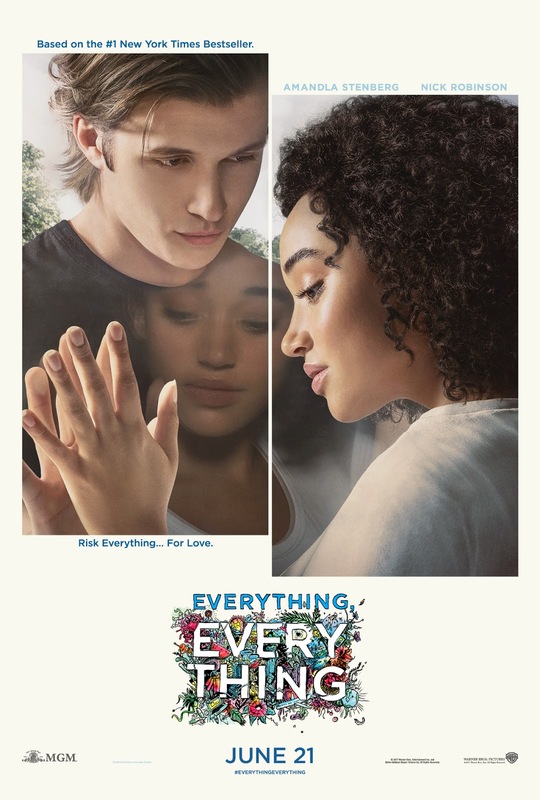 The main one-sheet art of Warner Bros. Pictures and Metro-Goldwyn-Mayer Pictures new romantic drama "Everything, Everything" has been unveiled online and can be seen later at this port. The film is based on the bestselling debut novel of the same name by Nicola Yoon and centers on 18-year-old Maddy as she struggles with her disorder "bubble baby disease" that forces her to be confined in her home. "Everything, Everything" stars Amandla Stenberg as Maddy and Nick Robinson as Olly. The film also stars Ana de la Reguera and Anika Noni Rose. What if you couldn’t touch anything in the outside world? Never breathe in the fresh air, feel the sun warm your face or kiss the boy next door? "Everything, Everything" tells the unlikely love story of Maddy, a smart, curious and imaginative 18-year-old who due to an illness cannot leave the protection of the hermetically sealed environment within her house, and Olly, the boy next door who won’t let that stop them. Maddy is desperate to experience the much more stimulating outside world and the promise of her first romance. Gazing through windows and talking only through texts, she and Olly form a deep bond that leads them to risk everything to be together even if it means losing everything. Opening across the Philippines on June 21, 2017, "Everything, Everything" is distributed worldwide by Warner Bros. Pictures, a Warner Bros. Entertainment Company, and in select international territories by Metro-Goldwyn-Mayer Pictures.